The Bronze Age people of Dartmoor have left us with many features to remind us of their existence. Perhaps the most enigmatic of these is the stone circle. 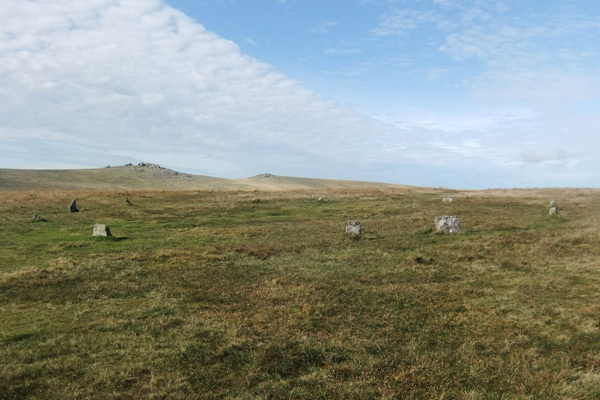 There are multiple examples of stone circles spread across the moors of the south west, most noteably those of the Hurlers at Minions on Bodmin Moor, where the stones stand some four or five feet high at their most proud. The stone cirlces of Dartmoor are not as extensive as those of Bodmin’s Hurlers however their presence are none the less diluted. Scholars believe that stone circles may have served several different needs from funerary to solar and lunar observatories. They were likely places of ceremony, worship and healing. In some cases, it’s possible that the stone circle was the local social gathering place or a meeting place for visitors when arriving at a foreign settlement. Bronze Age stone circle construction seems to have ceased around 1500 BC.